Sparks of light cascade around the welding technology lab at Round Rock Campus. It’s often seen as a predominantly male profession, but Rebecca Giuntoli is breaking that perception. The University of Texas at Austin sophomore is majoring in Environmental Engineering and enrolled in welding classes at Austin Community College (ACC). “UT doesn’t offer welding classes, so taking classes at ACC gives me the best of both worlds. 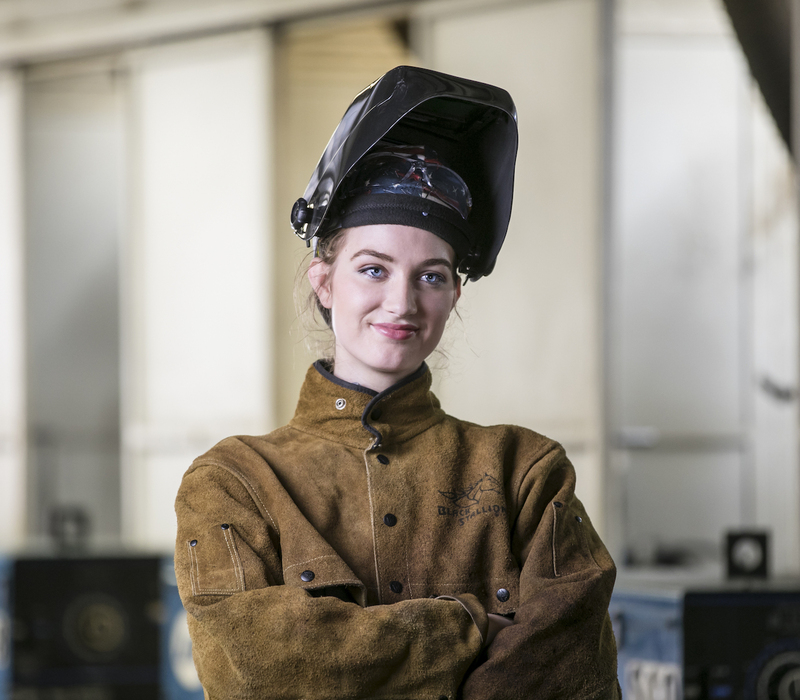 The diversity helps expand my horizons for career opportunities.” Rebecca enrolled in her first welding class as a dual-credit student at ACC. Careers in skilled trades are among the fastest-growing in the region. Employment in welding is expected to rise 10 percent over the next four years. Rebecca plans to pursue a career in the oil/petroleum industry working in environmental remediation or risk management. For more information about ACC’s Welding Technology Program, visit austincc.edu/welding. To explore careers in welding, register for the Applied Tech Open House, visit austincc.edu/appliedtech.